The Aerie, a French-styled "chateau" sitting atop the Eagle Landing Golf Course on Mt. Scott, offers an unforgettable setting to say "I Do." The Aerie includes indoor and outdoor spaces for year-round ceremonies, receptions, rehearsal dinners, bridesmaid lunches and grooms golf outings. The highly qualified staff at the Aerie will make sure your planning process is seamless, offering impeccable wedding coordination services, exquisite cuisine, plus a host of hand-selected, preferred professionals to help you plan and enjoy your wedding. The Aerie also offers a perfect ambiance for board meetings, seminars, conferences, galas, fundraisers, and golf tournaments. The Ambridge Event Center is ideally located in the heart of Portland’s Lloyd District. With nearly 18,000 square feet of events space and a spacious ballroom the Ambridge Event Center can take care of you and your event with the expert service we are known for. Its 12 rooms are perfect for any size occasion, up to 350 guests: weddings, quinceañeras, business events. We offer on-site catering and audio-visual services. Contact Robin for a tour. 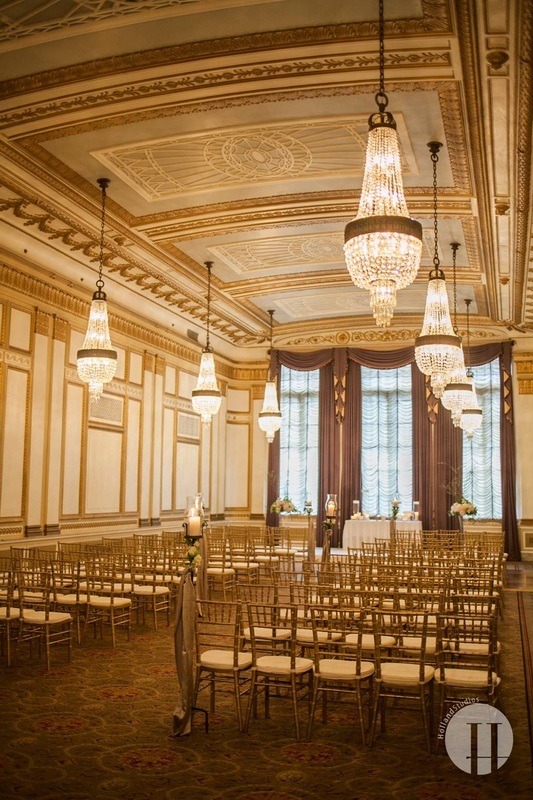 Located in the heart of downtown Portland, The Benson has been the legendary location for weddings and social celebrations since 1913. Guests begin the evening in the historic and elegant Crystal Ballroom with unique Austrian Crystal chandeliers and cathedral windows. Cocktails and hors d’oeuvres are then enjoyed by the fireplace in the exquisite lobby. Continue the celebration by dining and dancing in the Mayfair Ballroom for up to 350 guests. Director of Catering, Andrea Russell and her staff’s attention to detail and the beauty of the hotel make all events truly memorable. You will be delighted by all the different possibilities open to you in planning your menu and events. The Benson is the place you can always revisit and enjoy the memories year after year. The Carlton Fire House is wine country's newest wedding and private event facility. This beautiful property sits in the heart of Carlton, OR, one of the world's most famous wine towns! Surrounded by rolling vine covered hills and the who's who of high end Pinot Noir, Carlton has something to offer any couple! Castaway is a unique space near the Pearl District, offering 10,000 square feet of open space for weddings, corporate functions, fundraisers, birthday parties, Bar Mitzvahs, car shows—pretty much whatever you can think of. Built in 1929, the building served as a smelting and refining warehouse. It has been faithfully restored with its original architecture, offering stunning views of the Fremont Bridge. Its versatile space scales well for events of all sizes, with a 400 seated guest capacity. Castaway also offers an an outdoor patio space, and an option to rent the outdoor neighboring space, Versailles Gardens, as well as a beautiful garden space, Promarius Nursery. Offering a wonderfully romantic wedding setting, the Embassy Suites is a classically styled American Renaissance hotel in Downtown Portland. Guests enter into the elegantly restored Grand Lobby that features a marble staircase, crystal chandeliers and 24 majestic marble and terracotta columns that support the gilded ceiling. Whether you're arranging an intimate family occasion, a sophisticated cocktail reception or a grand dinner banquet for your wedding, Catering Director Olivia Olson and her professional team will assist you in creating an exceptional event in one of its two grand ballrooms (Queen Marie and Colonel Lindbergh). Dedicated wedding specialists with impeccable attention to detail can offer all-suite accommodations with a complimentary breakfast and Manager's Reception. The hotel offers a complimentary luxurious Bridal Suite and guests can benefit from special rates. The Foundry at Oswego Pointe is the area’s newest special events venue. 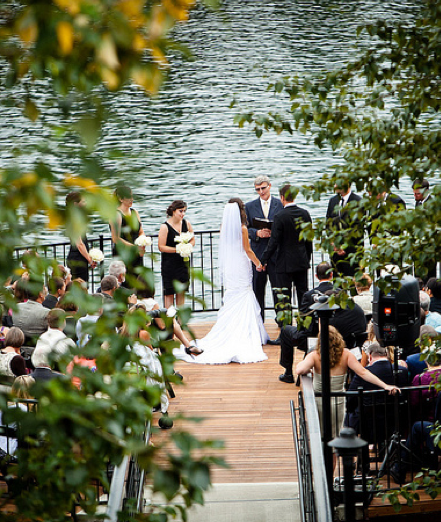 Located steps from downtown Lake Oswego, this private riverfront site provides an elegant and unique setting for your wedding and reception. From the expansive windows in the Great Hall to the stunning outdoor decks, enjoy panoramic views of the Willamette River. The Great Hall offers 3200 square feet of flexible space to create the perfect setting for any social or corporate event, accommodating up to 300 guests in a cocktail reception or 240 seated for dinner. Its state-of-the-art sound system and attractive modern design make the Foundry an exclusive and unforgettable venue for your event. Event planners seeking a one-of-a-kind venue in Portland will find a variety of unique spaces at JELD-WEN Field. In addition to the 90,000 square-feet playing field, the facility features The KeyBank Club, offering a panoramic view of the city’s Major League soccer stadium. Guests will enjoy the view from inside a 3,373 square foot contemporary space equipped with a full service bar, state-of-the-art kitchen, 10 flat screen TVs and private indoor restrooms. Above the club is the KeyBank Club Deck. This outdoor covered space has over 5,700 square feet, which is great for larger multipurpose events such as summer picnics, networking events, parties, or trade shows. The Community Room is designed to provide for a variety of community and corporate functions while the Sunset Porsche Audi Suites are perfect for small group presentations, seminars or breakout meetings. A specialized event coordinator will make sure your event goes off without a hitch. 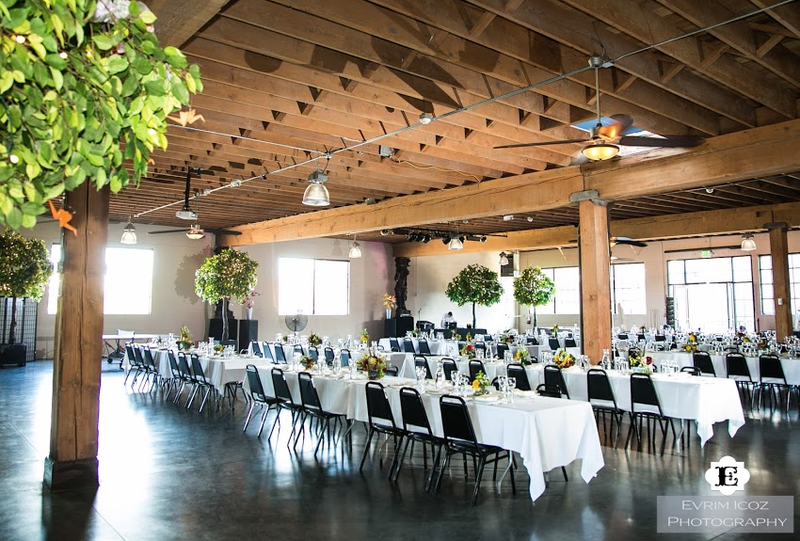 Host an unforgettable event at the historic Melody Ballroom, located moments from downtown, just across the Morrison Bridge. From your first visit to your final dance, our event coordinators will partner with you to design a party to fit your style. Our 6,000 square foot Grand Ballroom features ornate 30-foot ceilings, crystal chandeliers, a large theatrical stage and maple floors. A dramatic alternative is our speakeasy-style Lower Ballroom which has a swanky lounge and the original sunken dance floor from 1925. Whether you are seeking a full service facility or you are a DIY bride, our flexible packages give you the ability to select as much or as little service as you desire including catering, decor, flowers, linens, & more. 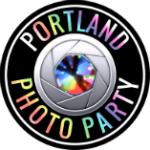 Portland's newest intimate event facility is located in the heart of the Pearl District. We specialize in small weddings, life events, corporate parties and rehearsal dinners! This space is a beautiful old-meets-new venue conveniently located in Portland's Pearl District just off the North Park Blocks. Our rates are very reasonable and we include a number of unique features in our rental package. Please contact us to set up a tour! Portland City Grill is the most dynamic venue for your private events. Located on the 30th floor of the tallest highrise in the city, it offers fabulous views of downtown Portland, the river and the Cascade Mountains. With its private dining rooms that can accommodate from 5 to 175 people, Portland City Grill is ideal for social events (weddings, birthdays, anniversaries and rehearsal dinners) as well as corporate events. Private Dining manager Alyssa Dodge will bring together all the elements to make your event memorable, exceptional and affordable. Cuisine features excellent steaks and seafood prepared with classic, island, Asian and Northwest influence. And ask about the new Chef's table, a private dining room located in the kitchen with a stunning northwest view of the city and offering a very interactive, fun and unique dining style. Party on the water! Portland Spirit operates several vessels offering unique celebrations on the river: the Portland Spirit, Columbia Gorge Sternwheeler, Willamette Star and Crystal Dolphin. Its fleet and facilities are available for weddings and a wide range of celebrations and corporate events. An experienced team offers comprehensive services to help you plan a flawless event. From engagement parties, bridal showers, intimate rehearsal dinners, elegant wedding receptions, to relaxed after wedding brunches, Portland Spirit is happy to help you create wonderful memories. Each of its vessels and land venues has its own flair that sets the stage for your magical day. Fresh Northwest cuisine, outstanding service, and attention to detail ensure every moment of your wedding is filled with romance and celebration. Skamania Lodge invites you to celebrate the beginning of your married life journey on your special wedding day. Catering director Jena Dyches and her team will help you fulfill every beautiful detail while you and those dear to you experience and enjoy incomparable comfort and the unparalleled environment of the magnificent Columbia River Gorge, just 45 minutes from Portland. Skamania Lodge's award-winning dining, 254 tastefully appointed guest rooms, romantic surroundings and a spectacular ceremony site ensure that your extraordinary day is everything that you imagined. 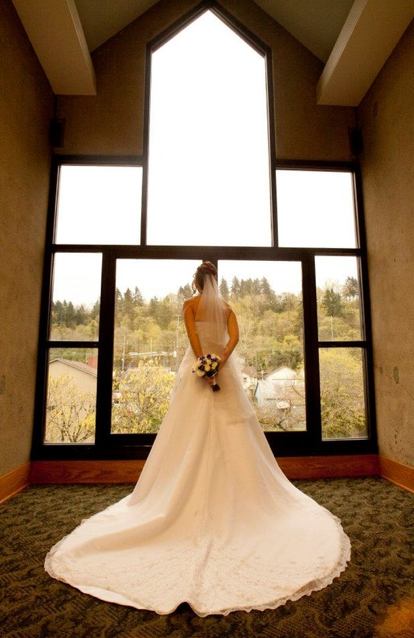 Skamania Lodge offers an array of year-round venues for your wedding or social event, accommodating up to 500 guests. With over 22,000 square feet of elegant Pacific Northwest style indoor event and banquet space and over 40,000 square feet of breathtaking seasonal open-air courtyards and outdoor space tucked amidst 175 acres, you will be sure to find the perfect setting for your special day. A unique venue for weddings and events, the Tumwater Room is a beautiful space on the top floor of the Museum of the Oregon Territory. Spectacular views of the historic Willamette Falls abound throughout the museum and surrounding grounds – whether you choose the garden bench, suspended walkway along the east wall or the panoramic views from the Tumwater Room. Your guests will be treated to a unique experience as they are offered a tour of the exhibit gallery. In the museum you can pause by the covered wagon, create a moment in the music room and sign your wedding license on the judge’s bench from 1859. With seating for up to 300 guests, the Tumwater Room is also ideal for your business meeting, corporate retreat, trade show or company event. Hotel Vintage Plaza and its exclusive caterer Pazzo Ristorante set the perfect scene for your historic events in Downtown Portland. With its warm, friendly service and elegant spaces, the Vintage Plaza has been voted “Best Rehearsal Dinner Venue” for three consecutive years. Its award-winning Wine Cellar, one of the original features of the historic property, charms with wine themed décor and warm romantic candlelight. For larger groups, the beautiful Tuscany room provides great views of bustling downtown Portland. For a more intimate setting, the Pazzoria offers a fun, bistro style private dining space. Vista Hills Vineyard is situated high up in Oregon's storied Dundee Hills, on over forty acres of world-class Pinot Noir and Pinot Gris. Our stunning Treehouse Tasting Room looks west over the beautiful Willamette Valley, offering sweeping views of our estate vines and the mountains beyond. It's a perfect venue for any event you plan, whether it be a casual business meeting or an elegant wedding ceremony and reception. The breathtaking views from our tasting room, great room, and our quaint deck provide the perfect back drop for any event. Add candles and live music and the Treehouse becomes a warm and inviting space. This historic downtown theater sits a few blocks off Broadway, near all downtown hotels, Pioneer Square, the Max and bus lines and all downtown destinations. The beautiful ballroom boasts very tall ceilings, hardwood floors, large windows and an elegant clean design. This space has a vintage feel with a modern touch. With so many ballrooms available in Portland we wanted the West End to be different! The World Forestry Center’s picturesque campus and inviting banquet rooms are the ideal location for your wedding, large or small, as well as private receptions, business events and auctions. It offers a combination of indoor and outdoor spaces. Miller Hall offers banquet seating for 250, while Cheatham Hall will seat 150. The outdoor Central Plaza offers a tented space seating up to 400. The center is centrally located in Portland’s beautiful Washington Park with easy access to the MAX line. The World Trade Center Portland, located on the Waterfront in Downtown Portland, is regarded as one of the city’s most elegant and spacious venues for events of all sizes. Well known for providing a stunning ambiance, elegant backdrop and offering the finest combination of breathtaking views, distinctive service, and unparalleled cuisine, the World Trade Center Portland is the best choice for events ranging from an innovative business meeting to a romantic wedding and reception. The facility offers a number of rooms, styles and flexible configurations for an array of business and personal events. 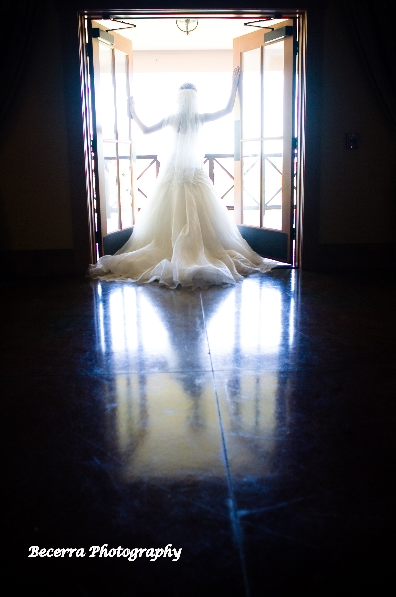 The WTCP offers two distinctive venues for your wedding day. The Sky Bridge Terrace is a romantic atrium featuring floor to ceiling windows with spectacular views of the Willamette River and Portland's landmark bridges. Or there is the European style Outdoor Plaza to accommodate outdoor events with breathtaking architecture. An on-site Executive Chef handles all catering. Zenith Vineyard offers its custom-designed wedding and event ballroom in the undulating Eola-Amity hills of Oregon’s picturesque wine country. Parties from 15 to 500 will appreciate the breathtaking magnificence of the room, the surrounding landscape, and the myriad details that make a perfect day perfect. Weddings and Events Director Kari Ramey will help you craft the perfect wedding, one that leaves you comfortable and worry-free on your big day, while making your guests completely content in a spectacular vineyard setting. 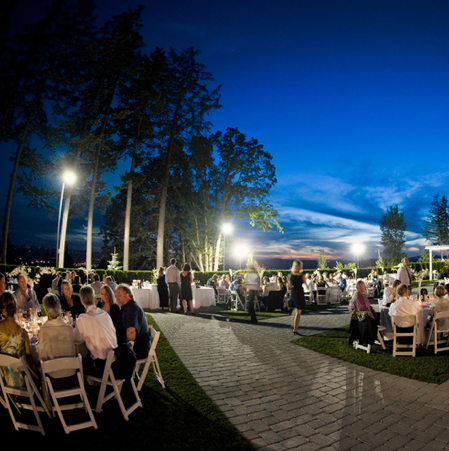 Zenith Vineyard is also home to a number of charitable, corporate and educational events from a wide range of hosts, from small corporate offsite meetings and dinners to huge charity auctions for 400+ guests. In-house catering is provided by Vibrant Table Catering & Events.